Arsenal fans have called for Unai Emery to recall Reiss Nelson from his loan spell in January after he scored a stunning free kick for England U21s, according to the Daily Star. The 18-year-old wonderkid moved to Bundesliga side Hoffenheim on a season long loan during the summer and has already scored twice in just three appearances for the German side. He carried that goalscoring streak on to his national side as the faced Scotland U21 side in a Euro 2019 qualifier fixture. England had already qualified and saw this game as a routine fixture, with the scores still leveled at 0-0, Reiss Nelson stepped up to take a free kick 30 yards from goal. The youngster went directly for goal from that range and showed great technique to get the ball over the wall and beyond the full stretched Scottish goalkeeper Ross to nestle it in the top corner of the net. Kieran Dowell later secured the win with a goal to make it a 2-0 victory to the young Three Lions, but the focus after the match was on Reiss Nelson’s stunner. Arsenal fans were particularly impressed with some suggesting he is already good enough to have a place in the first team. Some suggested that his loan spell at Hoffenheim be cut short to enable him return and feature for the first team. 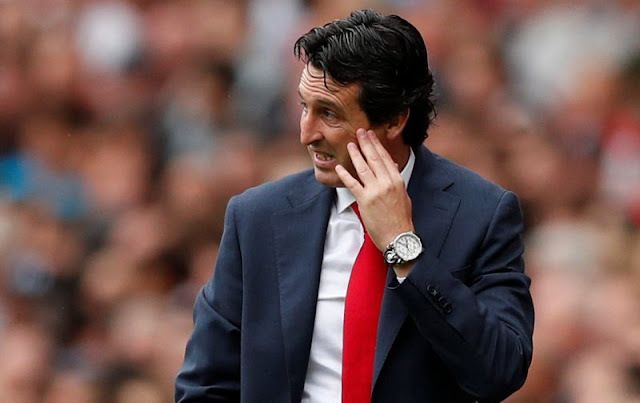 On one part, bringing him back in January might deny him the opportunity to build his confidence up with a whole season of regular first team football every week under his belt as he almost certainly wouldn’t be a regular starter at Arsenal during the thick end of Emery’s first season. But then again, leaving him beyond January could expose him to the risk of a repeat of Serge Gnabry’s situation at West Brom where he was continually left out of the squad for no reason. Whatever decision Emery makes, one thing is certain, that boy has some real talent. And hopefully he will attain his potentials at Arsenal.